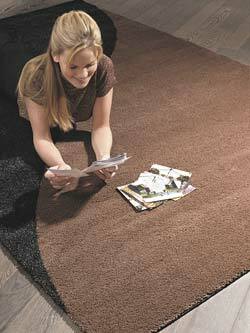 Looking for the perfect area rug to make a room special? 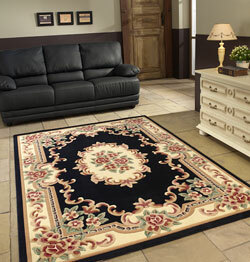 Rugs are desirable for many reasons. 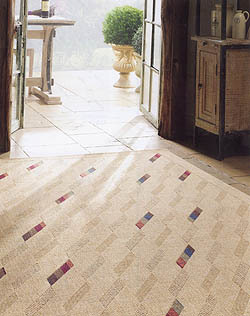 You may want to create a certain period which could not be done authentically with wall-to-wall carpet. You may like the idea of being able to turn a rug to distribute wear, or appreciate the economy of having no installation costs. Or, you may anticipate moving and, of course, want to take your rugs along. Rugs are also good insulators and sound absorbents. Area rugs give both consumers and designers many options and opportunities for personal expression in a large variety of ways. Today's consumer demands high quality and a great variety of choice, and rugs are frequently the answer to numerous decorating needs. 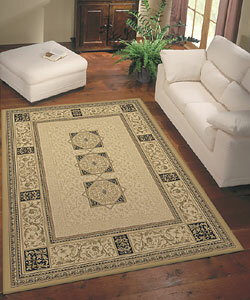 Area rugs direct the character, style, period, and ambience of a room. 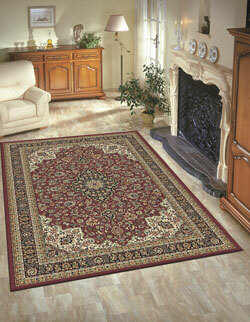 Elegant carved traditional rugs collection. 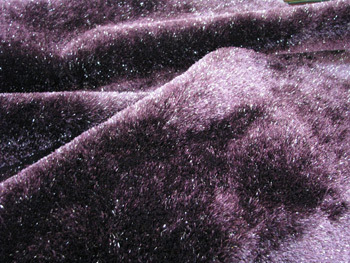 Thick pile with ultra-soft and luxurious touch. Easy clean, antistatic, water repellant and colourfast. woven rug collection of universally accepted classical designs in 10 excellent colour combinations. Incorporated double weft with extra resilent and heavyset synthetic pile. An ultra-luxurious classical collection with highly intricate designs and extravagant colors. An extremely robust woven heatset quality where the rich beauty of the eight-colour constructions and the unique Persian designs are given the prominence they deserve, Extremely soft touch thanks to the use of the specialty constructed and super-heatset B-Tron yarns. Easy to clean, water repellent, antistatic, mothproof and colourfast. Contemporary designs and fresh bright coloration. High quality double weft pile. 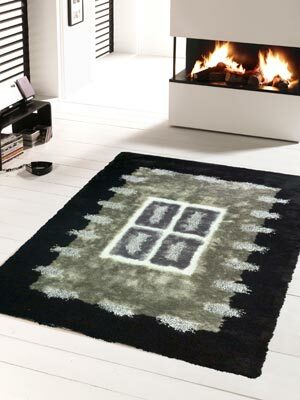 A brand new high-piled Cosy Shaggy rug collection with a soft touch and natural soothing colors. 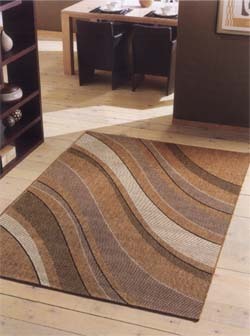 Heavy woven carpet made with Twisted B-Tron yarns for a fine Frise effect. Adds a touch of subtle softness to your room decor. 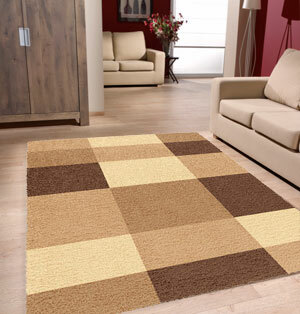 A brand new high-piled shaggy rug collection with a soft touch and natural soothing colors. 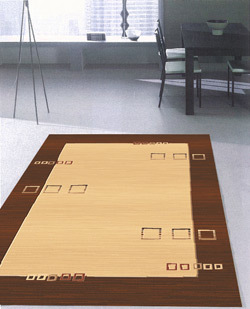 Mechanically Carved Fine Rugs in Chinese Classical designs as well as Modern abstract designs. Nemo, Marlin, Dory, Gill and the rest of the gang. 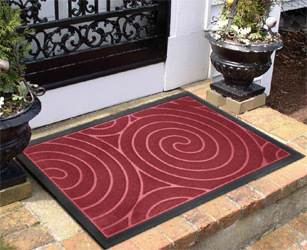 Durable and Washable Mats with Anti-Slip Rubber Backing. 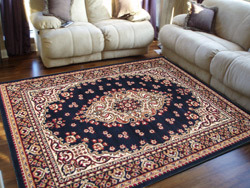 A classic woven rug collection featuring original, Persian-style designs in multi-colours. 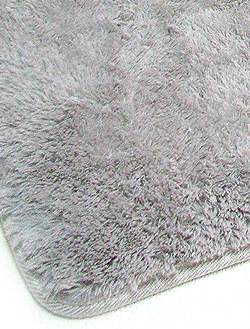 Thick pile with ultra-soft and luxurious touch. Easy clean, antistatic, water repellant and colourfast. An outstanding collection of modern designs in high tech revolutionary look. 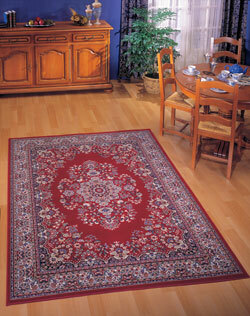 A heavy quality, dense woven carpet made in 100% Berclon Fiber. Adds a touch of elegance to the room. Easy to maintain, colourfast. A collection of universally accepted classical designs in 10 excellent colour combinations. Incorporated double weft with extra resilent and heavyset synthetic pile. 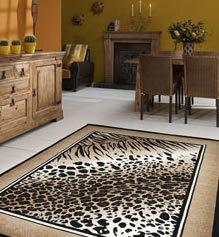 This season's 'must have' animal print rugs are all the rage. 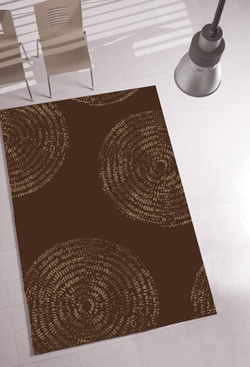 Exquisite in detail and striking in design, these rugs turn the simple accent of a rug into a bold work of art. 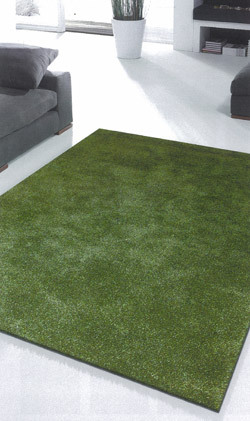 All Rugs have fully finished edges and are manufactured from 100% polypropylene which is robust enough to endure wear and tear throughout the house and have an incredibly soft finish. Made In Belgium. 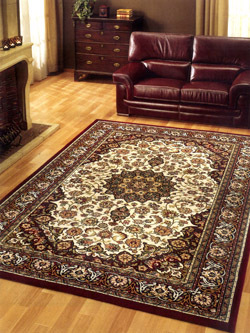 A world famous woven rug collection of classical designs in excellent colour combinations. Incorporated double weft with extra resilient and heavyset synthetic pile. 103 x 600 (2) - Mosque Runner 1'11" x 3'07"
Semi Classical designs and new muti-colour look. Incorporated double weft with extra resilent pile. A woven rug collection of universally accepted classical designs in 10 excellent colour combinations. Incorporated double weft with extra resilent and heavyset synthetic pile. A woven rug collection of universally accepted classical designs in 4 excellent colour combinations. Incorporated double weft with extra resilent and heavyset synthetic pile. 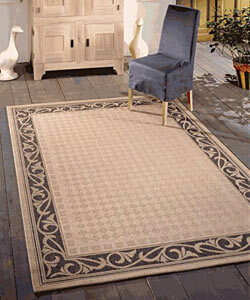 A beautiful woven rug collection of classical designs in excellent colour combinations. Incorporated double weft with extra resilent and heavyset synthetic pile. An outstanding collection of classic and contemporary designs in magnificent colours. 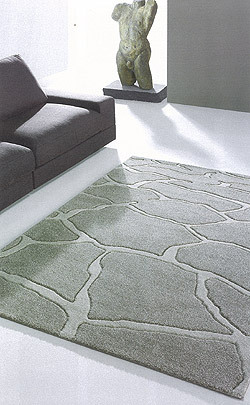 A heavy quality, dense woven carpet made with extra-soft super B-Tron yarns. Adds a touch of elegance to the room. Easy to maintain, colourfast. 80 x 330 Runner 4'06" x 6'04". 300 x 400 2'00" x 3'09"
An outstanding collection of classic and contemporary designs in subdued tones. 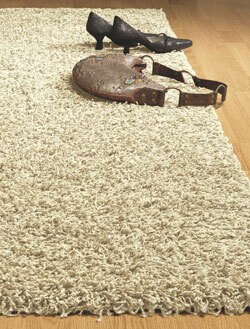 A heavy quality, dense woven carpet made with extra-soft super B-Tron yarns. Adds a touch of elegance to the room. Easy to maintain, colourfast. An outstanding collection of modern designs in magnificent colours. 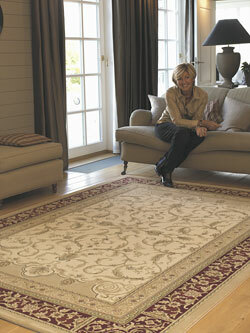 A heavy quality, dense woven carpet made with extra-soft Luxury B-Tron yarns. Adds a touch of elegance to the room. An outstanding collection of modern designs in magnificent colours. 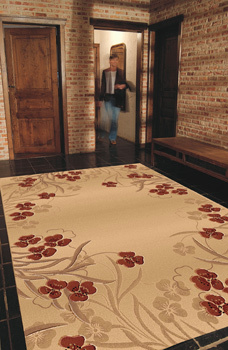 A heavy quality, dense woven carpet made with extra-soft B-Tron yarns. Handcarved effects. Adds a touch of elegance to the room. 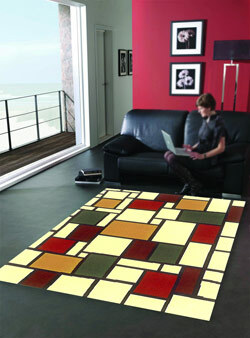 160 x 230 5'03" x 7'07"
An outstanding collection of contemporary designs in magnificent colours. 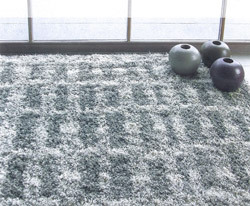 A heavy quality, dense woven carpet made with extra-soft super B-Tron yarns. Adds a touch of elegance to the room. Easy to maintain, colourfast. An outstanding collection of simple ultramodern designs in elegant colours. 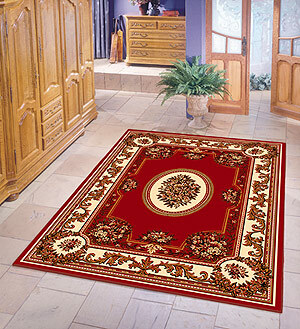 A heavy quality woven carpet made with Combined B-Tron yarns. Adds a touch of subtle softness to your room decor. 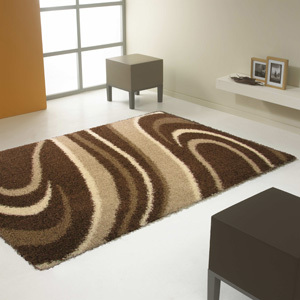 A modern shaggy rug collection to decorate your home. 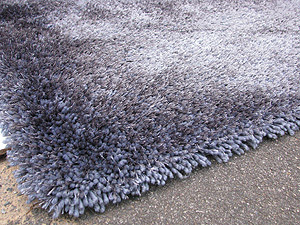 160 x 230 5'03" x 5'07"
Heavy woven carpet made with 100% Heatset Friese B-TRON yarn. Adds a touch of subtle softness to your room decor. 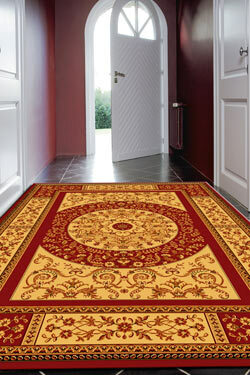 Heavy woven carpet made with 100% Heatset Frieze and Polyester. Adds a touch of subtle softness to your room decor. 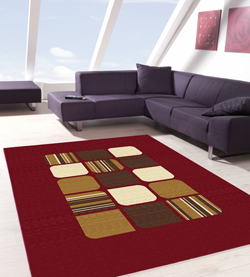 A brand new high-piled shaggy rug collection with glittering yarn, soft touch and natural soothing colors. Extra Heavy woven carpet made with Twisted B-Tron yarns. Adds a touch of subtle softness to your room decor. 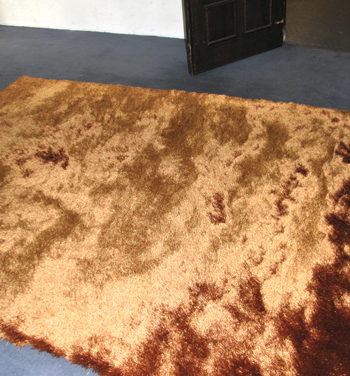 200 x 290 4'07" x 6'07"
A brand new high-piled Luxury Shaggy rug collection with a soft touch and natural soothing colors. 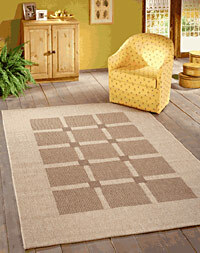 A brand new 2-inch high-piled shaggy rug collection with a soft touch and natural soothing colors. 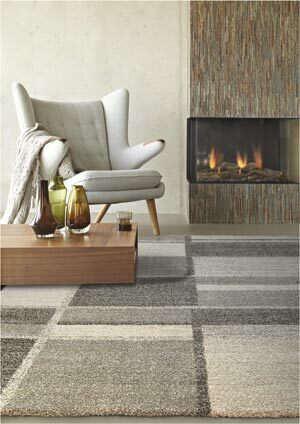 A new high-piled shaggy rug collection with a soft touch and natural soothing colors. Heavy woven carpet made with a fine Frise effect. Adds a touch of subtle softness to your room decor. Soft Feel with High Density Carved Effect in Modern abstract designs. A high-class and attractive natural trendy look. Exclusive multicoloured pile with handcarved effect. A high-class and attractive natural trendy look. Exclusive multi-textured pile with handcarved effect. 160 x 240 5'07" x 7'06"
An outstanding collection of new generation with third dimension design. Revolutionary use of new loop weaving technigue. Adds a touch of elegance to the room. Easy to maintain and colourfast. 160 X 230 5'03" x 7'06". 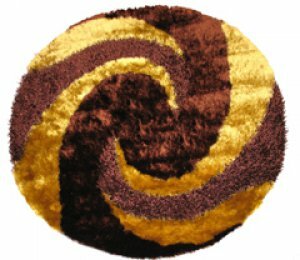 An outstanding designs of new chenille collection. 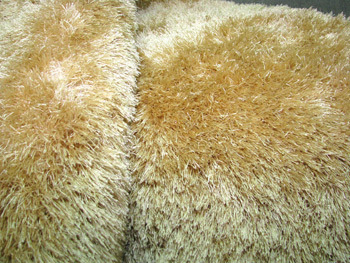 combines perfectly the natural soft character of Chenille yarns with its luxury look. 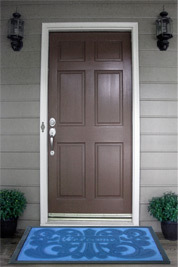 Its warm intense colour pallet goes from beige, chocolate, light & dark grey, aubergine, warm red towards black colour. This comfortable collection is suitable for in- and outdoor use and a huge range of interiors. Easy to maintain and colourfast. 160 x 230 5'03" X 7'06"
The Natura Collection of sisal-look rugs are a great way to decorate a country home or wherever a casual decor is needed. Using revolutionary new loop weaving technique, the collection boasts attractive and natural trendy designs. 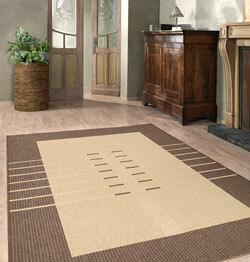 The Natura Additon sisal-look rugs are a great way to decorate a country home or wherever a casual decor is needed. 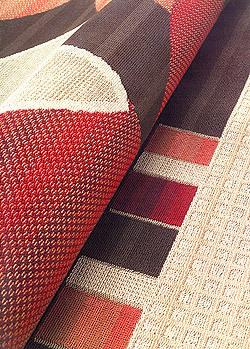 Power Loomed in revolutionary new Flat Weave Construction in contemporary sisal-look patterns and colours. 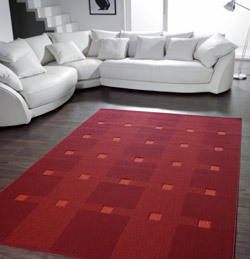 These 100% wool carpets are pleasing to both your eyes and the room. We have found that wool has superior qualities that set wool products apart from all others. Because of the fact that it is all natural, wool is resilient, resistant to stains, soil and dirt, flame retardant and long-lasting. It also has the ability to promote warmth in the winter and coolness in the summer because it increases the circulation of air next to the skin. 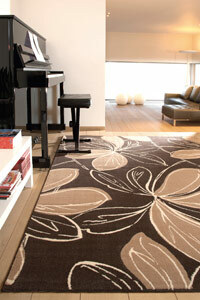 The Zrabi Collection of viscose rugs consists of Classic Floral and Artistic Designs in trendy and attractive patterns. 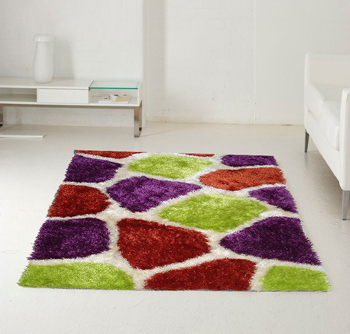 The Juliet Collection of viscose rugs consists of attractive floral and artistic designs in bright vibrant colors. 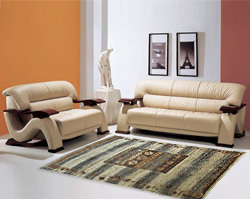 Silky rugs in trendy and attractive patterns. 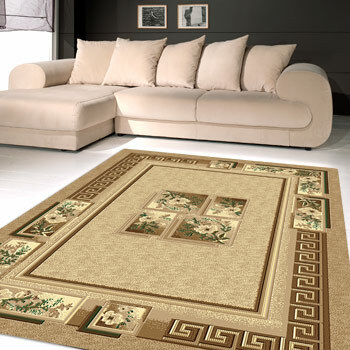 The Garden Collection of viscose rugs consists of attractive ethnic and artistic designs in soothing colors. 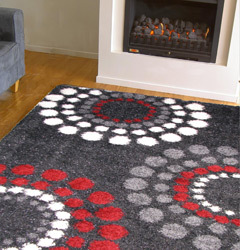 Silky rugs in trendy and attractive patterns. The Kariba Collection showcases a unique range of designs encompassing ethnic and tribal looks, as well animal skins. 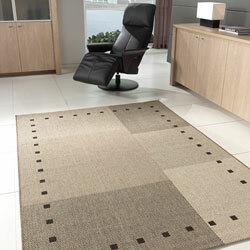 Kariba rugs are woven with the soft silky touch of viscose yarns. 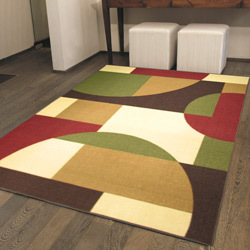 A trendy rug collection featuring a wide variety of modern styles in different colour groups. Easy clean, anti-slip, hardwearing and colourfast. Each rug in this collection is a fine work of art, beautifully and painstaking handcarved by a skilled Egyptian craftsman, and bearing his unique flair and individual character. Every effort has been taken to use the highest quality of materials to produce the rugs in this collection, to provide easy care and maintenance, and to give years of lasting pleasure. 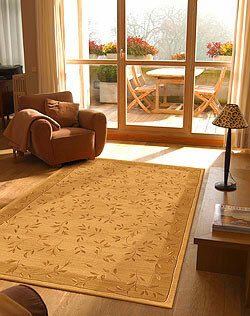 Fine Nylon Carved Rugs. Assorted Designs and innovative colours. Attractively disney Shape mats featuring the Disney characters Mickey & Minnie and Pooh. Luxurious & Extra Soft Acrylic Yarn. Thick & Shaggy Pile for Superior Water Absorbency with Anti-slip Latex Backing for Bathroom Safety.